***New to the 2018-2019 school year: Our 4th and 5th Grade students will participate in a Robotics program as part of the computer/technology program. The computer lab houses 40 21-inch iMac computers, running both Apple OSX & Windows XP. Each Mac is fully loaded to help our students accomplish all their media, research and core-curriculum reinforcing projects. 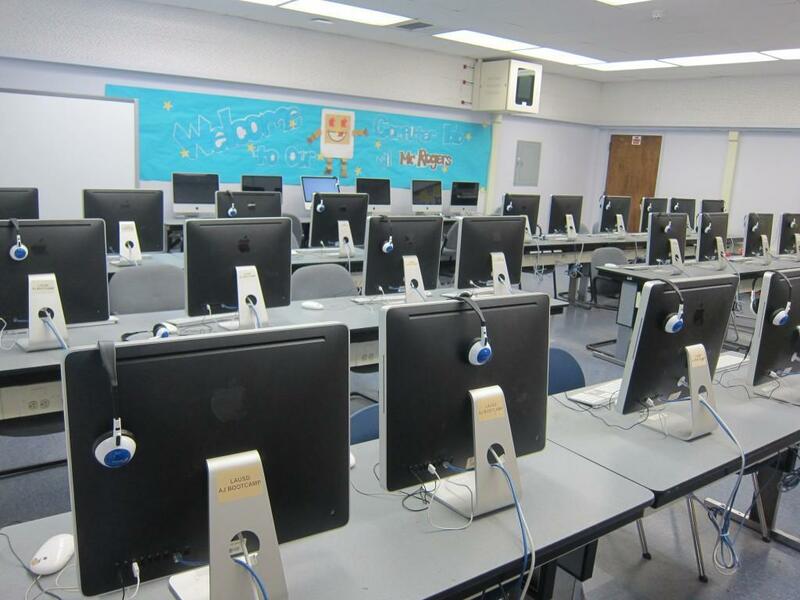 Our Media Lab is a 21st Century resource utilized by all grade levels. Whole class access to lab computers, in addition to classroom computers, enables our teachers to effectively integrate technology to help our students better understand and apply the concepts being taught. ComputerWiseKids provide support for teachers’ instruction and project based learning. The goal in the Media Lab is to teach a variety of technology skills across a wide range of standards in a nurturing environment. These skills are developed in exciting project based lessons integrated with grade level classroom curriculum.